10Hr Annual Child Care Bundle This course is designed to meet the annual 10 hours of in-service training requirements for Childcare Professionals in Florida. 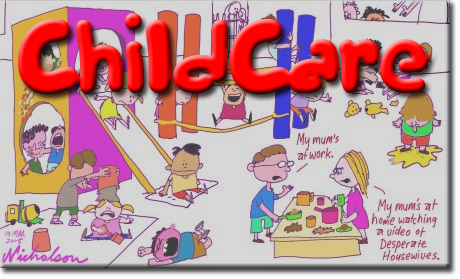 Daycare centers, Day Camp; Preschool, VPK Professionals, In-Home Childcare and Large Family Childcare homes. Subjects covered: Positive Guidance/Discipline, Child/Infant First Aid, HIV/AIDs & Infection Control. Child/Infant First Aid This course is designed to meet the training requirements for Daycare & preschool professionals including in-home daycare, Scouting (Boy/Girl), OSHA, New parents, Babysitters, & Family members that watch children under 10 years old. Subjects covered: Primary Survey, Bleeding, Broken Bones, Shock, Seizures, Heat & cold emergencies, Poisoning, Drowning prevention, Personal Safety, eye emergencies & more, for child/infant victims. This course meets the guidelines for DOT, Florida dept. of Children & Families, & the requirements for county license boards. Domestic Violence Awareness for childcare providers This course is designed to meet the training requirement for continuing education for childcare providers. The changing tide requires that ALL professionals recognize and can refer victims of domestic violence to seek help. The excuse, "it's none of my business", does not cut it anymore! Early Literacy, Language Development, Birth to 5 This 5 hour course meets the standards of the MANDATORY state requirements for training in "Birth to 5 Early Childhood Literacy" as required by F.S. 402.305(2)(d)3, 402.313(5), and 402.3131(4). ALL FLORIDA CHILDCARE PROVIDERS ARE REQUIRED TO COMPLETE THIS TRAINING ONCE INITIALLY DURING THEIR FIRST YEAR. 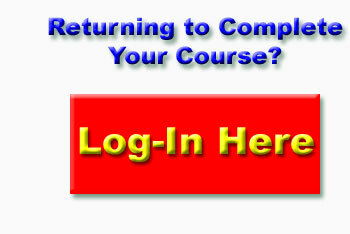 Once you have completed this course, you will not have to take it again. Fire Extinguisher Training: This 2 hour course was created to meet the training requirements for Florida Administrative Code 65C-22 and OSHA CFR 1910.157(g)(1-2). Subjects covered: This course teaches the types of fire extinguishers and the materials that they are designed to extinguish. It also teaches common sense methods for using an extinguisher and the proper steps for approaching and using the extinguishing device. $16.95 Autotest/Instant Certificate In-service: 2 hours. Bloodborne Pathogens This course is designed to meet the training for OSHA requirements for business/industry, ALF & Child care professionals. If you hold a professional license and your license board requires an HIV/AIDS course to renew, this course will meet that requirement. Positive Guidance & Discipline One of the most challenging aspects of caring for children is deciding upon a style of discipline that is appropriate, effective, and in the best interest of each child. Students who enroll in this course will learn about the strengths and weaknesses of various disciplinary styles and explore strategies for setting and enforcing healthy limits. Subjects covered: Definition & styles of discipline, Communication and Consequences, Being loving and caring but firm, Positive discipline, appropriate behavior, Origins of misbehavior, "What would you do situations". Safe Transportation of Children This course is designed as an alternative supplement for child care providers. Meets Florida Department of Children and Families requirement for safety training. Subjects covered: Safety seat check-up, Properly securing child safety seats to the vehicle, Harness straps vs. lap belts, Safety seat recalls, Airbags & children Facts/myths, Handrails, hazards with children's clothing.